A one-on-one golf lesson with one of our staff professionals on any part of your game at the GUI National Golf Academy, including 100 golf balls to hit during/after your lesson. Combine test - a 60 shot:10 target test that allows a player to highlight weaknesses in their game and at the same time compete against players from all around the world on an even footing and live leaderboard. A players results can be posted on a worldwide scoreboard. 100 balls included for completion. Tuition is not included in this 60 minute session. Gapping Session - a way for a player to go through each club in their bag and gain an understanding of how far exactly they hit each, from carry to total distance. A great way to gain detailed knowledge about one’s ball flight and subsequent distances. 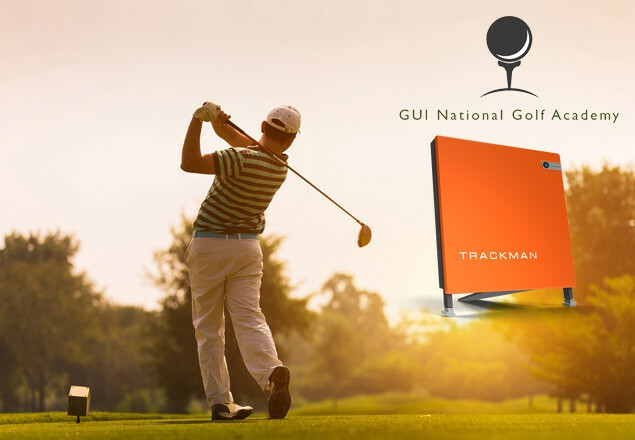 A dynamic report can be mailed to you post session, directly from the Trackman unit. 100 balls included for completion. Tuition is not included in this 60 minute session.